Until now, I’ve never thought that my interest in flying machines was anything but a sidebar to the main story. Getting older has its moments, to be sure, but the bonus comes from the clarity it brings to the random walk thru life to get to this keyboard. In dusting off old albums for this little article, a pattern emerges from many disconnected undertakings. The things you imagined would be the major milestones have fizzled. Haphazard sequences and seemingly minor choices have turned out to have major impacts on where you are now . Let me explain, as we pick up the story in 1969 of a young graduate engineer from the Royal Military College of Canada as he prepares to leave for a three year tour of duty in Europe in support of NATO. I was mildly interested in airplanes, but my job was in an engineering support role. 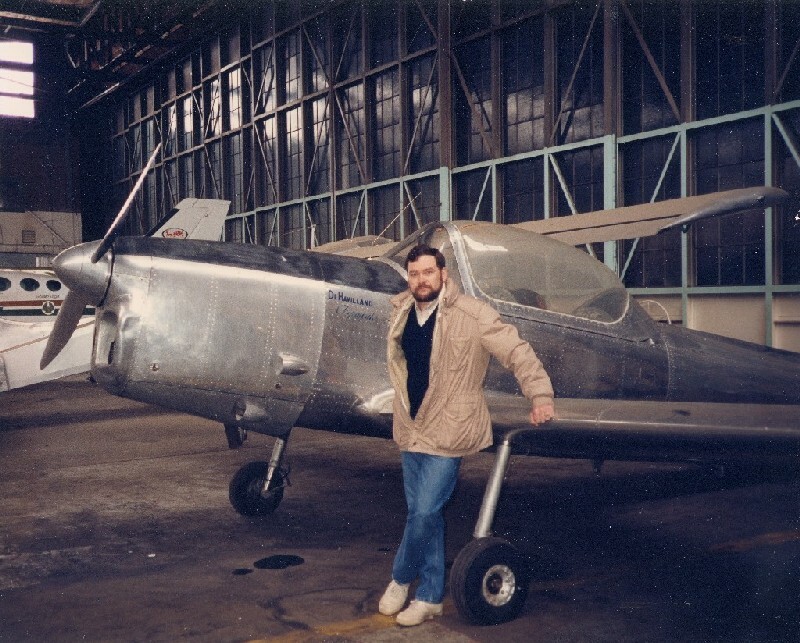 I did get the odd ride in jets, but it was not my main focus, in a world where Mechanical Engineering as a career made more $ense. In 1969, pilots were a dime a dozen. My first airplane. Tight for luggage. 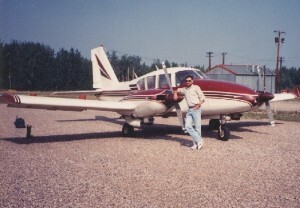 Four years later, back in Canada, with the Military experience as an Engineer under my belt, and way too much confidence born out of youthful exuberance, I purchased my first airplane, an ex-military trainer DeHavilland Chipmunk, while working for one of the Major Oil Companies in Calgary. No house, just wings. These were the first hints of bias to flying stuff. I thought I was working for the Majors to become Mr. President one day. In hindsight, it now appears I really took the job to support my need for expensive personal transportation on weekends, and whenever I could make the excuse to the boss, use it on the job. It was great being based by the Rockies, and I managed to get my fair share of fabulous mountain flying while I was there. 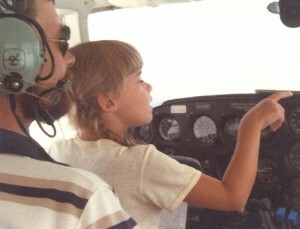 Many great skiing and flying stories, but another time. 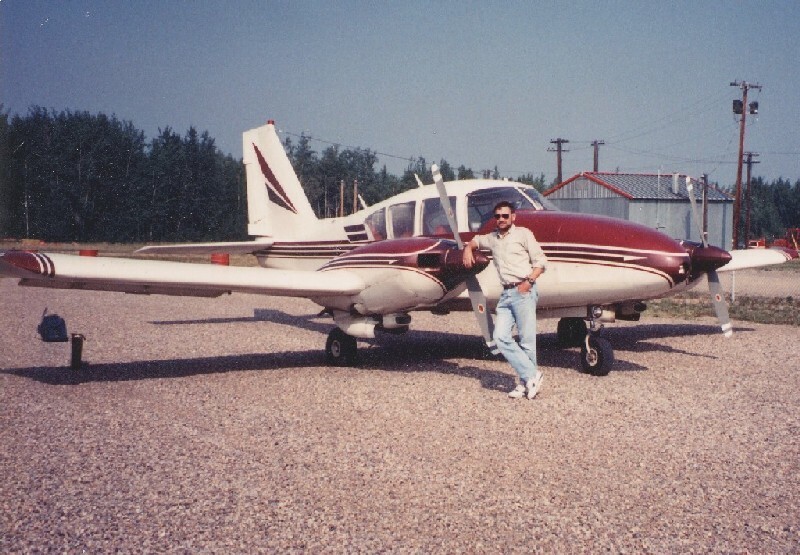 The Oil Company work proved to be a great learning experience, and gave me the toolset and idea to start my own engineering firm in the Canadian Arctic Frontier, in Yellowknife NWT. 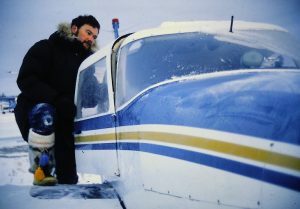 Those were the heady days of Beaufort Sea exploration, and boundless optimism, just like I had, so it was a great fit. The firm, Ferguson, Simek, Clark still operates, having merged with Stantec, with expanded operations around the world. The most attractive part of those years was the fact that I got to fly all over the Arctic. 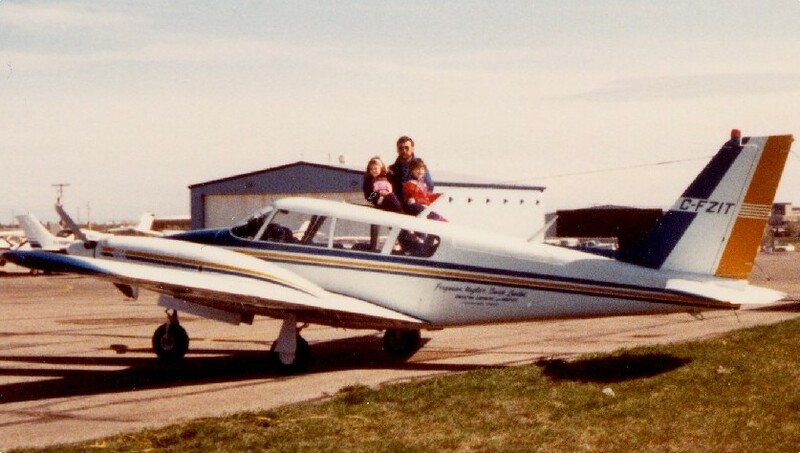 Both of my daughters were born there, and we used our company airplanes to go everywhere, including taking the kids to grandma’s house in Saskatchewan (1000 nm) for the weekends, and to the Maritimes for the other set. Because we lived in the Arctic, we used our airplanes like most people use cars. The kids thought that was a perfectly normal way to get from A to B. They would actually complain to the grandparents when they had to sit in a car for more than an hour. Cars were only for getting to the grocery store. 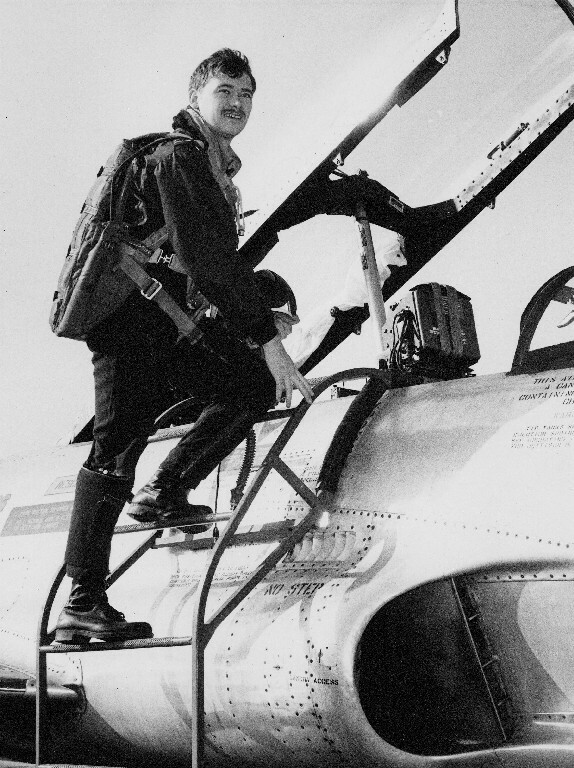 On the longer flights, they would sit up front, and actually got quite good at reading the instrumentation, and helped with the radios and transponder frequencies. They could even spot things like alternator and vacuum pump failures on the panel as they occurred over the years. 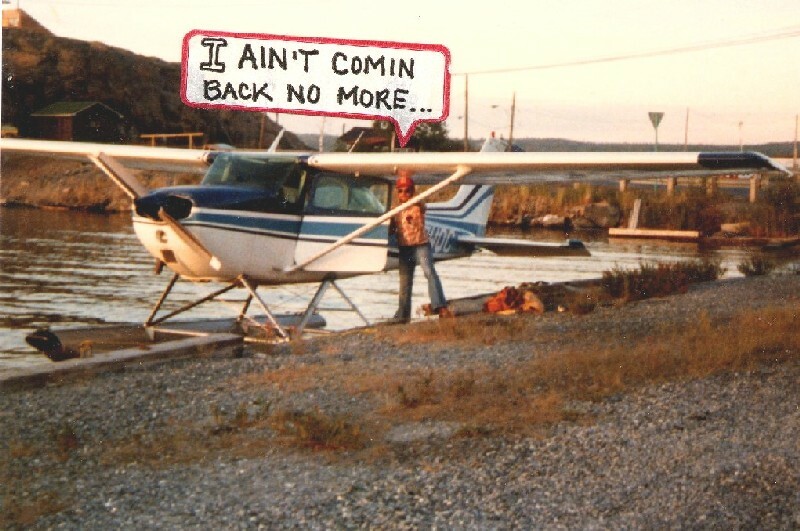 One of the greatest flying pleasures was to be able to jump in the float plane around 9pm, after finally shaking the dust off the business day, and head out to one of our secret fly fishing spots to spend a few hours in absolute solitude, in absolute wilderness, sharing only the mournful cry of a pair of loons silhouetted across the absolutely still mirror that reflected the perfect purples of the midnight twilight. If you’ve been there, you understand exactly. If not, there is no way for me to pass that feeling on in words. 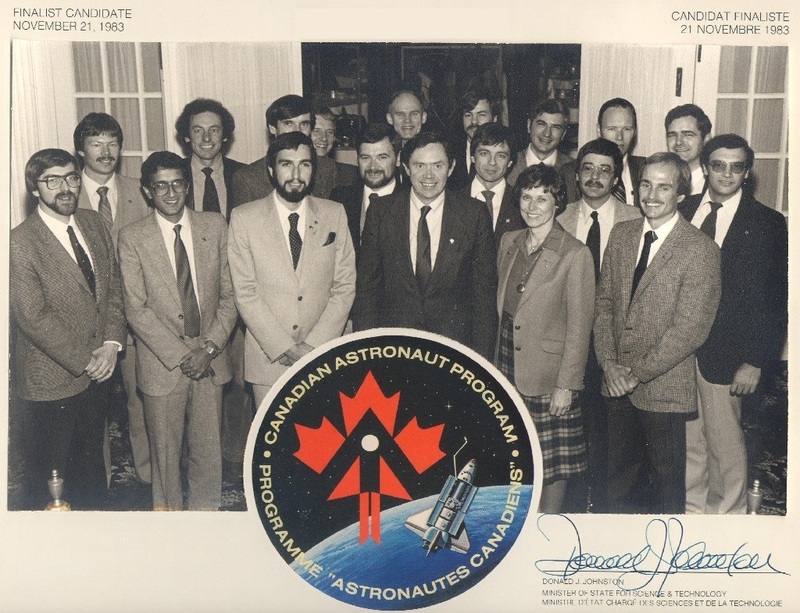 In the early 1980’s, the Government put out the call to find Canada’s First Astronauts. Over 4,400 applied, including me. The selection process went on through refinement and elimination interviews, medicals and trips to Ottawa over a period of many months. It was an interesting adventure, filled with interesting people. In the end, it boiled down to 18 finalists, of which I was one. Out of that group, Marc Garneau had the honor of being the first Canadian in Space. Subsequently, a number of those chosen have flown on Shuttle Missions, forming the original team of six who became the first full time Canadian Astronauts. Marc (in the photo with the rest of us) was subsequently the Director of Canada’s Space Agency. 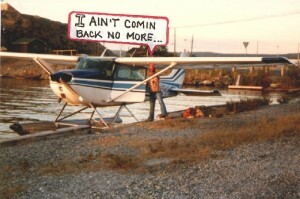 After 16 years in the North, I retired from the Company that we co-founded and moved to Victoria BC to semi retire. 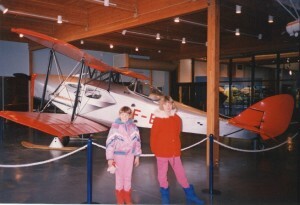 During the last few years in Yellowknife, I headed up a crack volunteer group called Operation Fox Moth which built and donated an aviation wing addition to the Prince of Wales Northern Heritage Center. It was a most satisfying undertaking that involved a whole range of fabulous people and companies who pitched in to make the Aviation Wing a reality in the spirit of getting things done. That was exactly how Canada’s Arctic got opened up this century, with the airplane as the centerpiece. What's it all about . . .
Down Memory Lane . . .
Three Score and Ten later … what’s it all about?